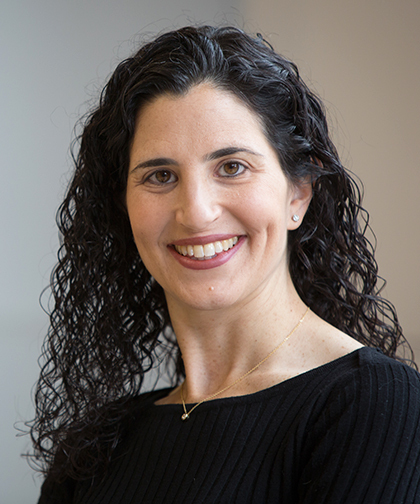 Shari Friedman, MD, is an Attending Physician in the Department of Radiology at Montefiore and an Assistant Professor of Radiology at our Albert Einstein College. Dr. Friedman has been a member of the Montefiore team since 2006, with a clinical focus on the diagnosis of a wide range of musculoskeletal abnormalities, bone and soft tissue biopsies, and therapeutic and diagnostic joint injections. She also performs joint and bursal injections, as well as musculoskeletal tumor biopsies in both pediatric and adult patients. Dr. Friedman received her Bachelor of Arts in Biology in 1996 at City University of New York, Queens College. She continued her studies at the State University of New York Health Science Center at Brooklyn, where she received her Doctor of Medicine in 2000. Dr. Friedman began her postgraduate training in 2000 with a year-long internship in internal medicine at Staten Island University Hospital. She then completed a residency in radiology and a fellowship in musculoskeletal radiology at Montefiore in 2006. With her experience in bone and soft tissue abnormalities, Dr. Friedman’s research focuses mainly on the diagnosis of abnormalities and tumors. Her work has been published in a number of reviewed journals. She has also shared her work at many RSNA Scientific Assembly and Annual Meetings. Dr. Friedman is a part of the Radiology Residency Program Selection Committee at Montefiore. She is board certified by the American Board of Radiology and is a member of the Society of Skeletal Radiology, the Radiologic Society of North America, and the American College of Radiology.